Stormwater pond design has continuously evolved over the last four decades in the Bay watershed, so most communities now manage a pond inventory that varies widely with respect to pond age, water quality volume, drainage area, design criteria, maintenance condition, sediment accumulation and vegetative growth. In recent years, MS4 stormwater permits have included new requirements for communities to inspect, maintain and verify the performance of their existing stormwater infrastructure, and improve its collective capability to remove sediment and nutrients from stormwater runoff. 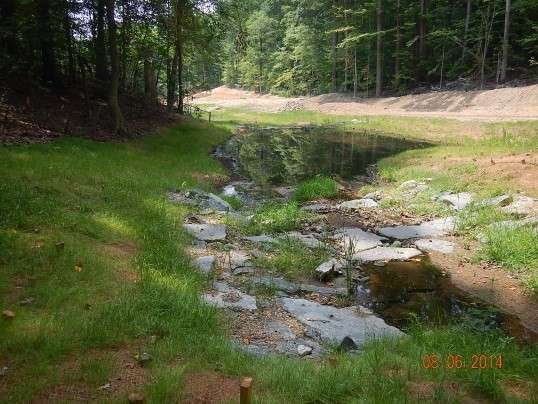 The new permit requirements are on top of traditional community concerns about dam safety, legal liability and nuisance problems associated with stormwater ponds. Rapidly inspect stormwater ponds using rapid visual indicators to assess dam safety and water quality functions in both wet and dry ponds. Establish numeric criteria that trigger critical pond repairs or retrofits. Outline the range of pond management choices to restore, maintain or enhance water quality functions. 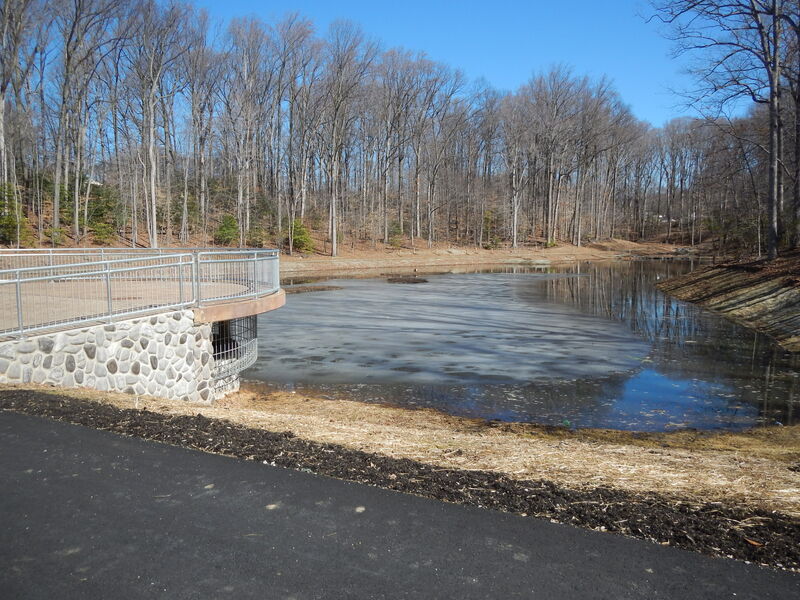 Create a system to make cost-effective decisions to manage the local inventory of legacy stormwater ponds to maintain dam safety and optimize pollutant removal. The pond protocol emphasizes simple visual indicators to rapidly assess dam safety and water quality functions and determine if critical repairs are needed to maintain them. Like the visual indicators developed for bioretention and other LID practices (CSN, 2013), these indicators are used to make an initial “pass-fail” determination for the pond. When a pond fails its rapid inspection, it is flagged for a subsequent engineering inspection to determine which repairs are most critical to restore lost pond function(s). Also included in the protocol is a pond management decision flowchart that guides the user through the various options to consider when assessing problem ponds. The flowchart is a useful tool to help MS4s optimize how their pond inventory is managed to meet MS4 permit, TMDL and dam safety requirements, and create a more defensible program to enforce maintenance at privately-owned ponds. Slides from the archived version of the "The Pond Protocol" webcast which aired on November 3, 2016. A powerpoint presentation on pond visual indicators.